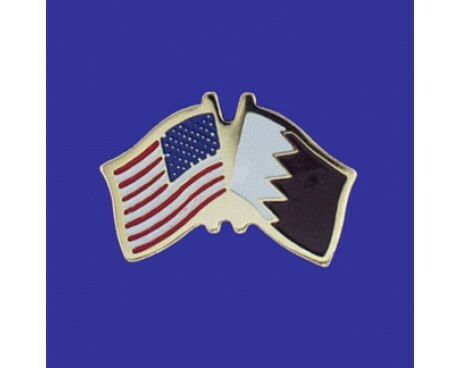 Modern Qatar flags are among the most distinctive flags in the whole world. Their design strongly resembles that of Bahrain, but no other national flags use a similar pattern. 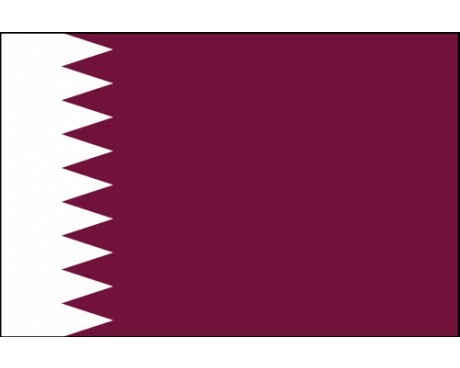 It is easy to tell the flag of Qatar from the flag of Bahrain in spite of their similar pattern due to the Qatari flag's proportions, which are completely unique to it. The flag of Qatar is the only national flag to be more than twice as wide as it is tall. Qatar flags have a white section along the hoist and a maroon section that takes up the rest of the flag. The two sections are separated by a serrated line that consists of nine triangles. The nine triangles represent the fact that Qatar was the ninth of the reconciled emirates in the Persian Gulf. 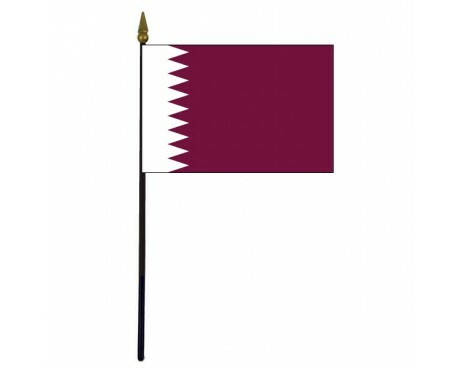 The maroon portion of the flag represents the economic history of Qatar. The country was a major producer of purple dye during antiquity, which was a hugely expensive color throughout most of history. The white section of the flag is a symbol of peace, particularly the peace that reigned in the region following the nation's treaties with the British Empire. Qatar has used several different flags over the course of its long history. It represented itself with a simple red flag during the vast majority of that time. The red flag came from the banner of Khawarij sect of Islam, which played a major role in the region's history. That flag only changed when Qatar entered into diplomatic relations with the British Empire. 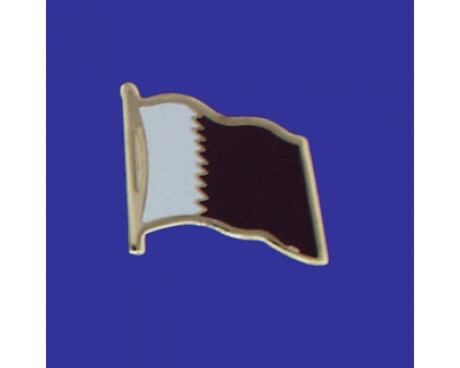 The new relationships caused Qatar to adopt a new flag in the interest of improved diplomacy. The precise date of the change is unknown, but the government of Qatar added a white stripe to their old flag to produce the new design at some time during the 19th century. The current flag developed out of that design. The flag gained the serrated line between the two colors in 1916, and the red section was replaced with the modern maroon in 1936. The 1936 design also included the nation's name near the center of the flag and diamonds along the hoist. Those features were removed in 1949, which produced a design that differs from the modern flag only in its proportions. The modern proportions came into use in 1971, and they finalized the design of the modern flag of Qatar.